Fast and simple, Taxi Côte d'Azur app allows you to order your taxi with a simple touch on your iPhone. - Reservation 24/7. Immediate answers to your requests. - 154 professionals at your disposal. A large variety of vehicles to meet all your needs. - Insurance to be put in contact with one of our partners in more than 50 cities in France. - A quality service: all the national network taxis members undertake to respect a quality charter (home, care, progress of the transfer). - Information about of all the services offered by each partner. Taxi Côte d'Azur offers a quality of services so you can drive across France from Cannes. When you call, TTaxi Côte d'Azur contacts the nearest taxi. 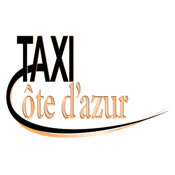 Whether you are delegate, tourist or professional, Taxi Côte d'Azur is here to take you wherever you want. We carry assistance in case of problems and our estimates are free.